3. Theme From "Pseudo Silk Kimono"
Vanden Plas is a German progressive metal band, based in Kaiserslautern and founded in the late 1980s. The band surrounding vocalist Andreas Kuntz have succeeded in making a name for themselves on an international level, enjoy almost cult status in France, have been touring all over Europe with established acts like Dream Theater, Savatage or Angra and can point to a number of impressive releases, among them three studio albums, a live cut, an unplugged recording, and several EPs. 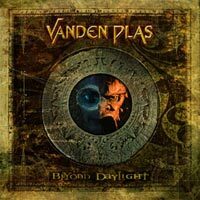 With their latest offering, Beyond Daylight (2002), Vanden Plas once again emphasise their leading position on the international prog scene, opening an exciting new chapter in their band history. Beyond Daylight contains nine brand-new prog metal tracks which stand out with their brilliant melodies, exquisite instrumental passages and intelligent arrangements, and the powerful rock ballad 'The Healing Tree' mirrors perfectly the fascination that this band has in the line: "Where we go around from here? Will we share another tear? Like the seasons we are leaving to return again." Be it the juxtaposition of a habit-forming chorus and technically virtuoso passages, as in 'Scarlett Flowerfields', anthemnic structures like the opener 'Nightwalker', or progressive tracks like 'Cold Wind': Vanden Plas never cease to delight and at the same time surprise their audience. "The new album has an even wider stylistic range than our previous releases," elaborates Kuntz on the difference compared to older Vanden Plas material. "A while ago, we would have been sceptical as to whether a shout-along number like 'Free The Fire' actually suits Vanden Plas. These days we don't worry too much about things like that. What matters is the quality of a song; a ballad like 'Can You Hear Me?' could in this or a similar form easily have been penned by Sting, but it happens to suit Beyond Daylight perfectly. The mood of the songs, the entire album is more open-minded, atmospherically broader and, in a very positive sense, more commercial." The first edition of the album is rounded off by a cover version of the Kansas classic 'Point Of No Return'. 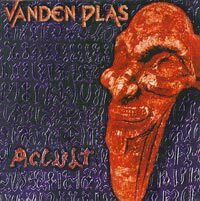 Since the late Eighties, when the band first got together, Vanden Plas never lost sight of their ambitious goal: expressive music with emotional depth and a melancholy prog metal corset. Starting off with their debut album Colour Temple (1994), the band continued to gather an ever-increasing following with their versatile, intuitive and always unbridled lust for playing. 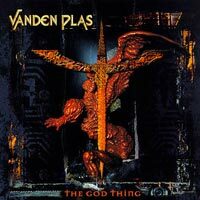 Two years later, in 1997, Vanden Plas brought out their epic bombast successor The God Thing, which was praised by renowned magazines like Metal Hammer, Rock Hard, Burrn!, Aardschock and Flash. A six week tour with Dream Theater followed, like a sort of knighthood conferred on the highest level. The group went on to bring out the unplugged EP AcCult, on which the fascinating aspects of their compositions came to fruition in all their purity. 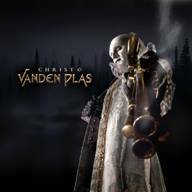 Each Vanden Plas release shows the great musical diversity of the five band members, who have all repeatedly been involved in theatre projects and rock musicals like 'Jesus Christ Superstar', 'The Rocky Horror Picture Show', 'Little Shop of Horrors' or 'Evita'. 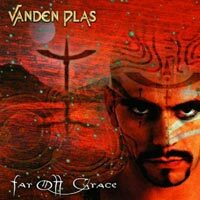 In September 1999, Vanden Plas returned to the limelight with Far Off Grace, which had been recorded by Pink Cream 69 bassist/producer Dennis Ward at the House Of Audio. The band presented themselves in an even more compact and determined style, remaining melodic and innovative at the same time. 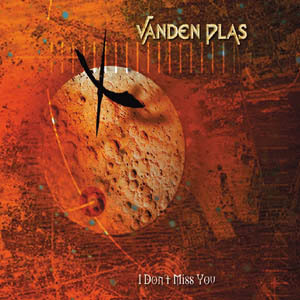 Spring 2000 saw Vanden Plas recording a concert in front of enthusiastic fans at the Elysée Montmartre in Paris, releasing the cuts on their Spirit of Live album, which also featured a duet by vocalist Andy Kuntz and Don Dokken on the Dokken cover 'Kiss Of Death', and a breathtaking duel between guitarist Stephan Lill and his French colleague Patrick Rondat - over 73 minutes of intense live atmosphere which speak of the band's unbridled enthusiasm for their music. The same enthusiasm comes across on Beyond Daylight, combined with a determination to link past, present and future. The band's latest effort, Christ 0, will be released in april, 2006. 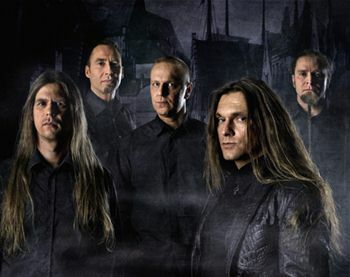 The band's line-up is formed by Andy Kuntz (vocals), Stephan Lill (guitars), Andreas Lill (drums), Günter Werno (keyboards) and Torsten Reichert (bass). Abydos, a rock opera by Andy Kuntz and Andreas Lill among others. Missa Mercuria, a metal opera by Stephan Lill, Günter Werno and DC Cooper (DC Cooper, Silent Force among others), among others, released in 2003. Consortium Project III - Terra Incognita (The Undiscovered World). Featuring Stephan Lill on guitar, this project of Elegy vocalist Ian Parry was released in 2003. 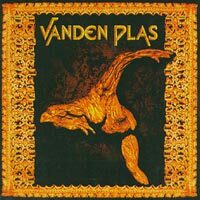 Note that "Vanden Plas" are different to "The Vanden Plas" which is a British electronic act.